Hiking enthusiasts who seek jaw-dropping scenery will find plenty to gawk at on this five-day road trip. 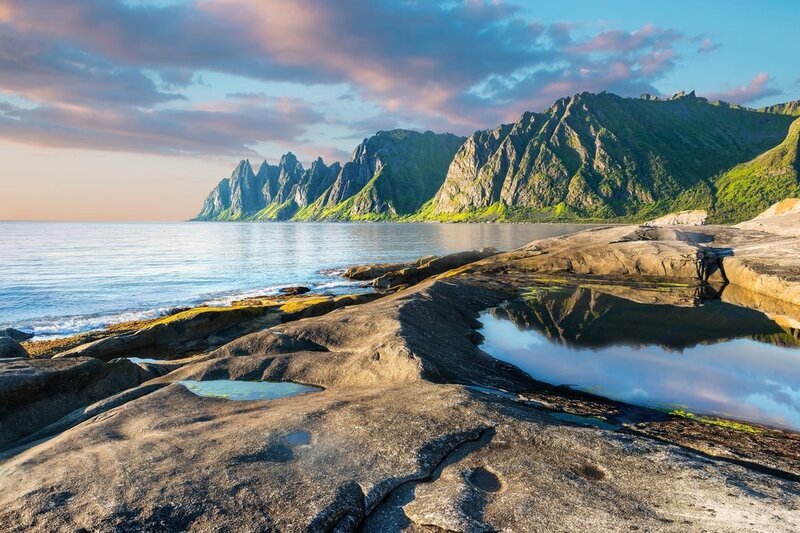 Norway’s second largest island, called Senja, is just as magnificent as the more traveled Lofoten islands. Driving from Tromsø, you'll make your way to the island for two full days of hiking. Finish with a night in Norway's buzzing capital to round out this awesome adventure. Welcome to Norway! Your adventure begins with a domestic flight to Tromsø, the largest city in Northern Norway. Upon arrival, pick up a rental car and take some time to explore the self-proclaimed 'Gateway to the Arctic'. With plenty of daylight hours during summer months, there's no rush to hit the road. 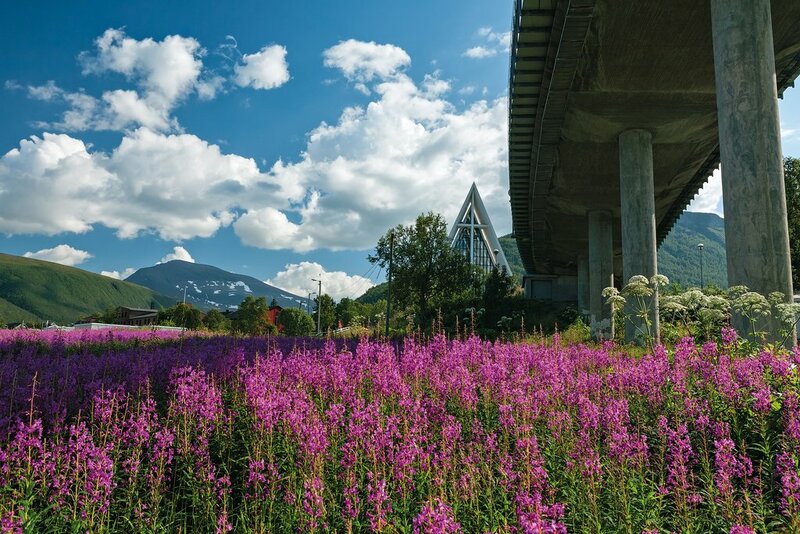 Surrounded by mountains, Tromsø is a lively place with 65,000 inhabitants. The city has a large student population and is famous for its robust music and film culture. A good place to start is taking a ride on the cable car, which runs up to a mountain ledge in just four minutes. The two gondolas, known as Seal and Polar Bear, each have a capacity of 28 passengers. From the viewing platform at the upper station, you can enjoy spectacular panoramic views of Tromsø and the surrounding islands, mountains, and fjords. Have lunch at the restaurant on top of the mountain, or head back down to sea level for a variety of cafés and restaurants. When you're ready, make your way to Senja. The drive from Tromsø will take about 3-4 hours and the views are magnificent! Settle in your acccomodations—this is where you'll be based for the next three nights—and head out to one of the island's colorful fishing villages for dinner. Look for fresh cod, which Senja is known for. After an early breakfast this morning, get ready for some hiking! You will meet your private guide who will suggest a variety of local trails that not only avoid crowds but also offer the best views. There are options for all ages and levels of difficulty. For instance, your guide might suggest an alternate view of the iconic peak called Segla, via a trail to neighboring Hesten along the southern side of the mountain. This trail is quite steep; wear good hiking shoes and stay to the right as you climb up the mountain. At the top, there are wonderful views of Mefjord, Øyfjord, and the surrounding mountains, while the sheer cliff will give an adrenaline kick to anyone brave enough to peer over the edge. Keep an eye out for Breidtinden, Senja's highest mountain, to the south. Today, you'll have the freedom to explore Senja's network of trails as you please. Now that you're armed with a wealth of local knowledge from the previous day, you can choose between many options. Better yet, pack a picnic, hop in the car, and stop at several places while looping around the island. Not all of the trails are steep and challenging—there are more moderate, relaxed options to choose from, too. 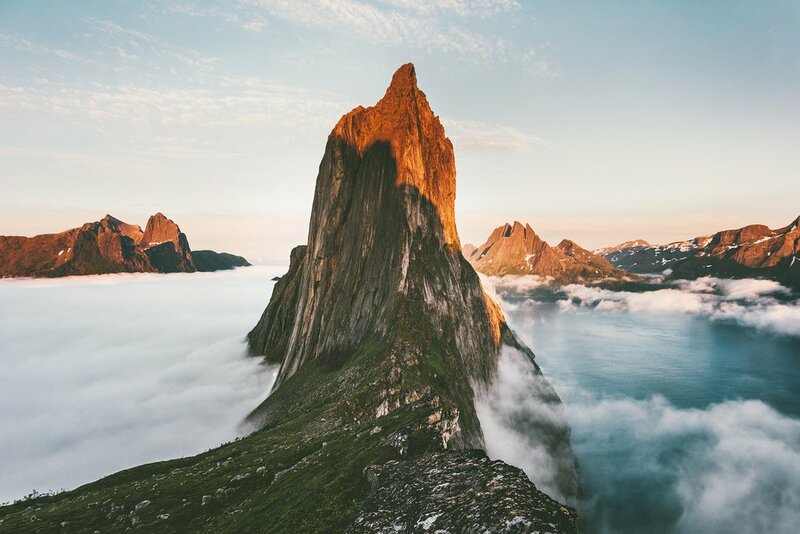 One idea for a gradual uphill climb is Husfjell, one of Senja's most rewarding trails with stunning scenery and varied terrain, located on the island's northwestern coast. When you arrive at the top, you can also climb to several other nearby peaks to find more impressive panoramas of Ersfjorden, Steinfjorden, and the Okshornan mountain range. 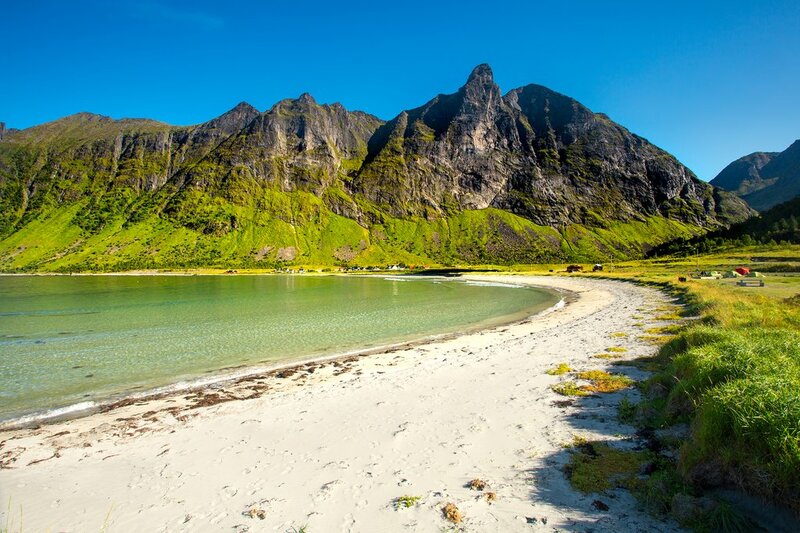 You can also combine hiking with other activities like biking, fishing, wildlife viewing, or sunbathing at one of Senja's uncrowded white sandy beaches. Another activity is to paddle between the hundreds of islands in the calm water with eagles and breathtaking views of mountain peaks. Today, you'll have breakfast in Senja before returning to Tromsø the same way you arrived. 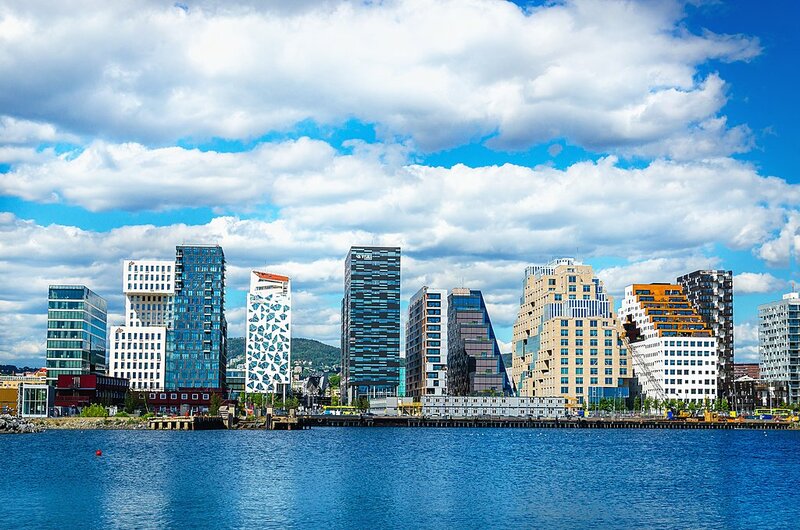 Once you're back in the city, head to the airport, return the rental car, and take a domestic flight to Oslo for your departure the next morning. When you get to Oslo, take advantage of having the rest of the day in Norway's rapidly growing capital. 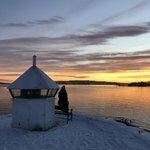 Not only is the city center made for walking, but outlying neighborhoods—filled with charm and character—are easily accessible by public transportation, so jump on a tram, train, or bus and explore all of what Oslo has to offer. 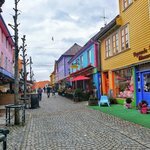 Take a half-day and wander around Aker Brygge, an area on the Oslofjord made up of beautiful, modern buildings where you can find bars and abundant nightlife. 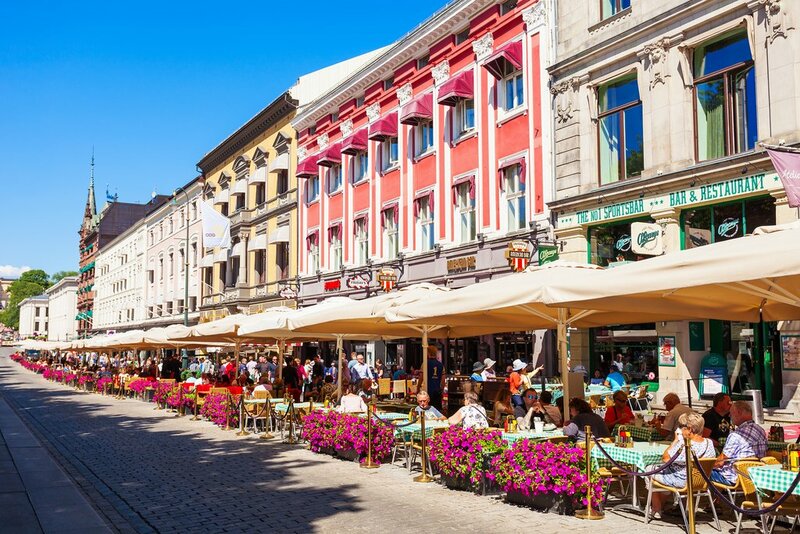 It acts as a sort of courtyard for the city of Oslo and brings together both tourists and locals alike to enjoy the great food, atmosphere, and entertainment. Spend the afternoon visiting the Viking Ship Museum and the Norwegian Open-Air Folk Museum by way of public transportation. Both museums are in the same area, so they pair well together! 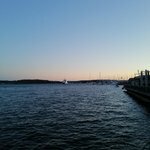 Walk along the Havnepromenaden (harbor promenade)—a new five-and-a-half-mile waterfront park, which combines sightseeing, history, art, architecture, and a little bit of adventure. Visit the Vigeland Sculpture Park, where 200 larger than life sculptures are placed throughout this green lung in the middle of the city. For dinner, explore the city's historic core buzzing with restaurants and cafés that stay cozy in cold weather, with several options that offer outdoor seating during summer months. 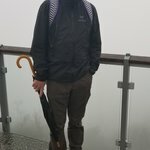 It's time to say farewell to Norway! Enjoy your last few hours walking around Oslo's neighborhoods, relaxing in a café, or visiting local boutiques for one-of-a-kind souvenirs.